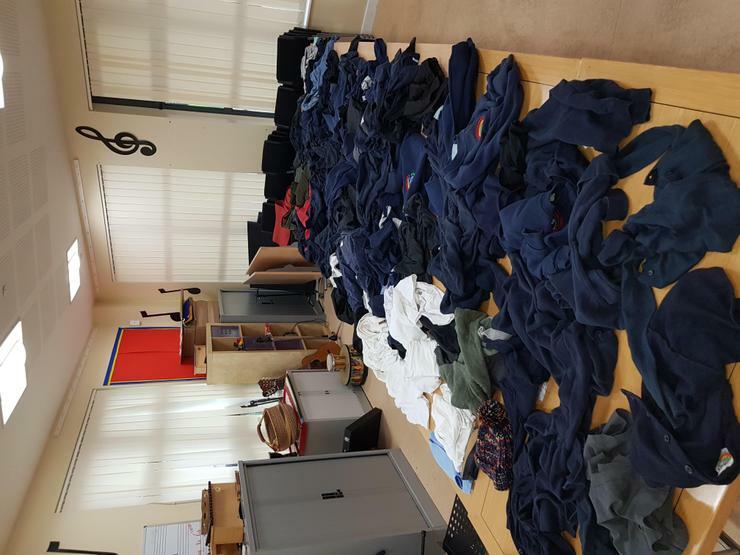 Please take a look below at all the uniform we had in lost property with no name in on Monday. 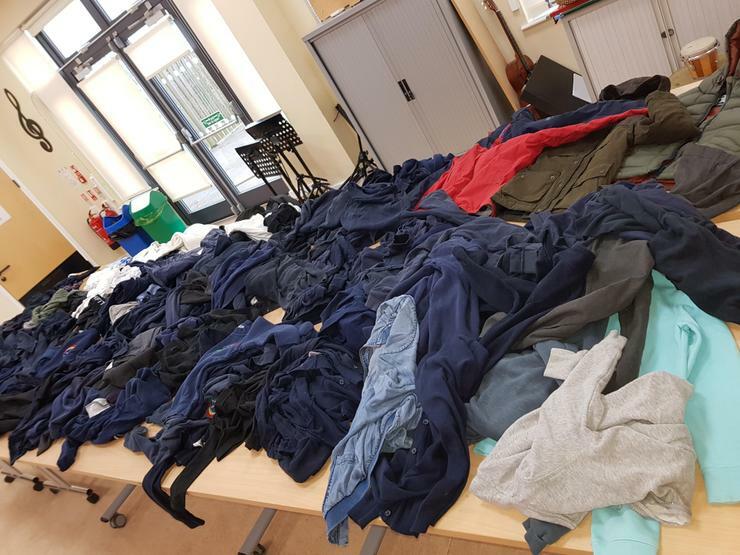 This collection of lost property was on view in the community room yesterday after school and this morning. The unclaimed items were collected today by the Salvation Army for a small donation to school fund. Please, please, please add names to all school items so we don't end up in this position again.